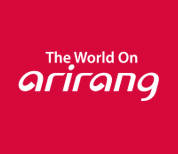 As Korea's premier English-language network, Arirang broadcasts three channels: Arirang World, Arirang Korea and Arirang UN. Our network strives to be Korea's messenger to the world as we promote and share our culture with viewers in more than 103 countries who enjoy our programming. Arirang TV is viewed in 138 milliones households on every continent through ten broadcast satellites.